If you are big and tall person chances are you have had issues trying to find a good bed to sleep on that is able to support you. 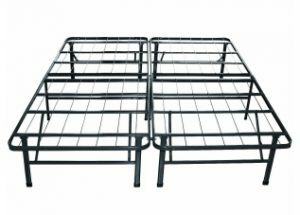 While most of the typical bed frames are made out of steel, they are not all designed to handle the same amount of weight. It is also the same for the very tall person who is needing an extra long bed, finding the right bed frame to fit the extra long mattress can also be difficult. These bed frames are all feature extra added support structures to handle the added weight and size of the larger mattresses and foundations like the Twin XL and California King. 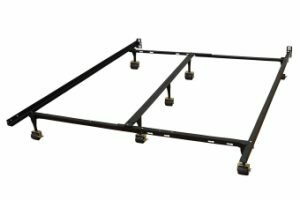 After doing our research on each of the frames, we put together a list of our best heavy duty bed frames. The Elite Smartbase is a heavy duty bed frame that is actually more a hybrid frame and foundation combination that virtually eliminates the need for a box spring and mattress set in order to provide the optimum comfort. It is constructed of only the highest quality materials and designed in a way that helps the provide strength and support for the heavy person. It can move around relatively easily if necessary. It can be used with Twin to King size mattresses. The Zinus Elite Smartbase is made specifically for the big and tall person as it provides a weight capacity of over 4000 pounds (4400 lb). It is constructed from heavy duty, high strength steel and has multiple supports that equally distributes the weight across the whole structure. There are no creaking sounds that are commonly found in other bed frames as it has a unique design we multiple supports in all the key areas under the mattress. It also has an exclusive folding mechanism that makes it easier to maneuver around in tight spaces. There is plenty of storage space under the bed to place storage bins. The Elite Smartbase is the sturdiest and has the highest weight capacity of all of the bed frames on our list. It would make a great choice for anyone. The Hercules Universal Bed Frame can support a wide range of mattress and box spring sizes from Twin to King. It is constructed of high strength materials and can be assembled quickly and doesn’t require any tools. The weight is distributed evenly across the frame and the heavy duty locking casters mean it can reposition easily. The Hercules is aptly named as it is super strong and is able to support a whole lot of weight. It can be easily adjusted to fit mattress and box springs from twin to king size by simply sliding the cross bars. 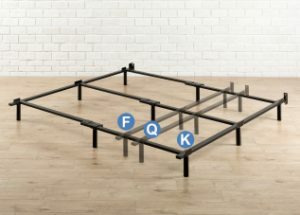 The unique double bar center bar gives it the added strength and support for the larger mattresses. The frame features high strength steel with a matte black powder coating for lasting durability and good looks. Each of the support posts the contact the floor has a heavy duty locking caster. The frame includes built in headboard mounting brackets so it can be easily attached to an existing headboard. The Hercules is a classic design for mattress and box spring sets and it works great for extra heavy weights. The Compack 7 inch Heavy Duty Bed frame that is constructed of only the highest quality materials for both strength and durability. The unique design of frame has 9 support posts that are recessed as to provide protection for your toes. It was designed to handle extra heavy weights and can be adjusted to fit mattress and box spring sets from full size to king size. 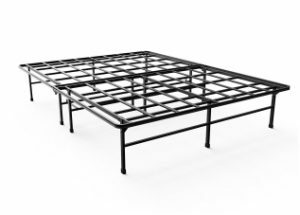 The bed frame is constructed of heavy duty, high strength tubular steel and powder coated to provide extra durability. 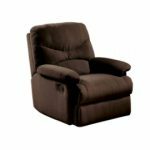 The heavy duty slide mechanism makes it smooth and easy to adjust the frame from full size to king size and still offer the same amount of support. It evenly spreads the weight across 9 support posts that make contact with the floor. It has built in headboard mounting brackets so that it can easily be attached to an existing headboard. The no-tool needed design makes it extremely easy to setup and take apart in just minutes. The 7-inch height makes it possible to easily store items underneath. 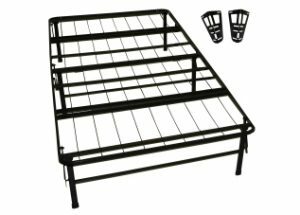 The Zinus Compack heavy duty frame is one of the highest rated of all the bed frames on our list and it would make a great choice for everyone. The Hercules 14-inch Platform Bed Frame is one of the best frames of its kind on the market. It is specifically designed for only queen size mattresses and virtually eliminates the need for a box spring. The extra support structure allows it to support extra heavy weights without giving away. It is constructed of only the highest quality materials and the 14-inch height provides up to 13-inches on clearance for storing stuff underneath. It is constructed of high strength steel with a powder coating for good looks and lasting durability. With twelve support posts that distribute the weight equally across the whole frame prevents any type of giving in the wrong places. It has a folding mechanism so that it can be easily moved around in the room. There are optional mounting brackets that can be purchased to mount an existing headboard and footboard. Can be assembled quickly and easily without the need for any tools to put it together. The support posts feature hard rubber caps to help prevent damage to your flooring underneath the bed. The 18″ Tall Bed Frame is designed especially for the California King Mattress and the unique slat design eliminates the need for a traditional box spring underneath the mattress. It is constructed of the highest quality materials and was designed to last for many years. The 18″ clearance provides an amazing amount of storage underneath. The frame is manufactured with only high strength steel with a durable powder coating to help make it last for many years. The cross slats are all made from the same heavy duty steel and it eliminates the creaking also associated with wood slats that are commonly used by other brands. The nine posts and slats help to distribute the weight evenly across the frame so it can handle much more weight. The 18″ clearance underneath means that you can put a whole lot of storage containers underneath. It was designed to be extremely easy to assemble and does not require a bunch of tools to fully assemble. The Sleepace 18″ Tall Frame is the highest rated of all of the bed frames on our list and is out top pick for queen size bed frames. If you are in the market for a new heavy duty bed frame you cannot go wrong. 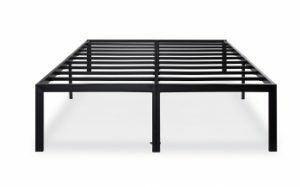 The 18″ Tall T-3000 Heavy Duty Slat Bed Frame is one of the sturdiest of all the bed frames on our list designed especially for the king size mattress. This platform bed virtually eliminates the need for a box spring since it provides full support. The frame is designed to surround the mattress to prevent it from sliding around on the frame. The high strength, an ultra sturdy frame is constructed of all steel with a powder coating on the outside to provide a long-lasting durable finish. The multiple cross slat configuration provides a remarkable amount of support for even the heaviest mattresses. The 18″ height provides an unequaled amount of storage space underneath the bed. It also features additional support members to provide an extra level of support for the extra heavy weight. It has plenty of support so that regardless of what type of mattress you have it will fully support it, this includes innerspring, pillow top and full memory foam mattresses. 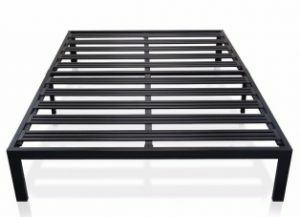 The Olee Sleep T-3000 is a highly rated platform frame that is capable of supporting most any type of king size mattress. It would make a great choice for anyone who needs a heavy duty bed frame. The heavy duty construction of the Model E from Best Price is its signature feature. This bed frame features unique extra wide cross slats help to eliminate the need for a box spring underneath the mattress to provide the needed support. The platform style provides an amazing 11.6″ of storage room underneath. It is designed specifically to be used with any type of California king size mattress. The frame features 2.4″ high strength steel throughout and is covered in a highly durable and great looking powder coating. The seven supports help to distribute all of the weight across the entire frame and helps to give it the ability to support much more of the weight. It is capable of supporting all types of mattresses without having to rely on a box spring for extra support. The wide all steel slats help to eliminate the creaking noises associated with models that use wood slats for extra support. It also features built in mounting opening to makes it easier to attach it to an existing headboard. This platform style heavy duty bed is perfect for the California King mattress and it provides a lot of storage. The Durabed Foldable Bed Frame is made especially for the Twin XL size mattresses. Its unique construction combines the best of a foundation and frame in the same system so that there is not a need for an additional box spring. It is made from only high strength steel and provides all the of the necessary support, even for the extra heavy weights. Features a high platform design that gives plenty of room underneath for storage bins. The frame is made entirely out of high strength steel including ten crossbars and nine steel wire supports. This will virtually eliminate the need for a box spring and the noise that can be found in other models that use wood slats for support. The folding mechanism makes it possible to store the frame away when not in use. All of the pieces are covered completely in an extremely durable powder coating for long-lasting use. The DuraBed Frame and Foundation combination is perfect for when you need a heavy duty twin size bed. It can be folded down and stored when not in use. 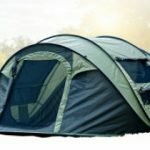 It is perfect for temporary sleeping arrangements.